If you are into experimental-rock music or are looking for some new music to add to your collection and have not heard of Portugal. The Man, then you are welcome for this post. These guys have been around as a group for about 4-5 years, but within that time span have released 6 albums and 5 EP's. Pretty impressive if you ask me. Yet, what also makes it so impressive is that each album, is really good. The saga of Portugal. 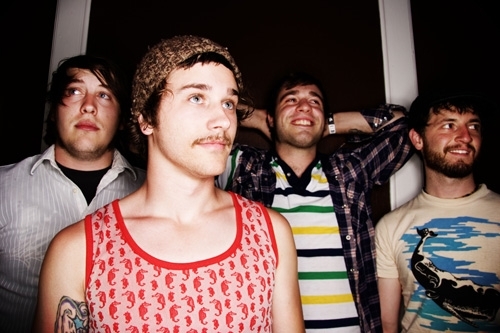 The Man starts when singer/guitar player John Gourley was in Anatomy of a Ghost, but they would break up. He would go to form Portugal. The Man, which has since become, I'd say a moderate success. Having been on numerous labels, they are now signed to Atlantic Records. Portugal. The Man combines all the elements of good experimental rock, yet manage to have sometimes a classic-rock type feel. It is a combination that has worked well for their albums, and is worth a listen. Check out some of their stuff below.